The carpets and rugs of your home in Finchley are in need of constant care and cleaning. One way to provide this is vacuum cleaning, but it won’t get you far. There is a huge amount of dirt and dust that gets trapped within the fibres. What if there was a way to thoroughly sanitise any carpet or rug? At The Top Carpet Cleaning, we have discovered just that. Thanks to our steam cleaning expertise, you can be sure that your carpets are fully sanitised and restored. 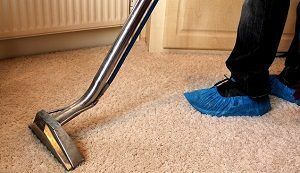 We provide carpet cleaning in Finchley that is both affordable and efficient. Our carpet cleaning service features cleaning your carpet with specialised equipment. It is designed to penetrate deep within the pile, lifting off unwanted dirt and other spoils. It is a safe and eco-friendly procedure, which will leave your home looking as good as new. Whether you have a few rugs or one big carpet, you can count on The Top Carpet Cleaning to do the job just right. Our expertise is yours to hire on 020 3322 8944. Discover the beauty of your carpeting solutions once again by calling our company to your home. Whether it is just a single carpet that you want us to clean, or maybe your entire home – The Top Carpet Cleaning has the perfect solutions for you. We know how to take care of the job to the highest standard. We are delighted to share with you that you can hire us now with a single call on 020 3322 8944. Our lines are well-staffed and will meet you with our professional representatives. You can ask them any questions regarding our carpet cleaning service and they will be more than happy to provide the info. Don’t forget to get a free quote to see how affordable our company is! Finchley rests in the northwestern part of the capital of London, in the London Borough of Barnet. It is mostly on a high ground plateau, some 90 metres above the sea level. The historical hamlets that grew in the area have evolved into what today is considered to be the three town centres: East Finchley, North Finchley and Church End. There are several landmarks featured in the area, including St Mary’s Finchley parish church, some parts of which date back to the 13th century. The old Manor house in the area is now the Sternberg Centre for Judaism The last farm in Finchley is College Farm used to be an odel dairy farm, but has been turned into a tourist attraction. Finchley also houses one of the oldest purpose-built cinemas of the UK – the Phoenix Cinema. It is located in East Finchley and possesses a notable art deco façade. Professional carpet cleaning in Finchley is now available at affordable rates. Call The Top Carpet Cleaning on 020 3322 8944.